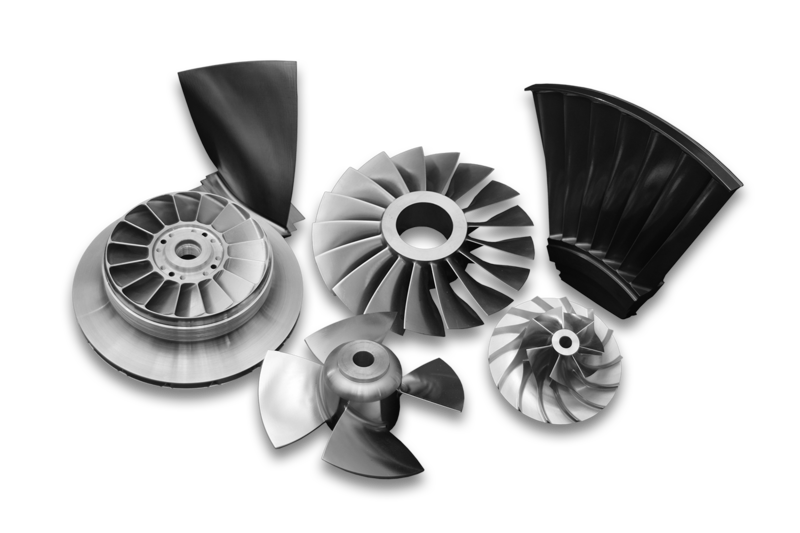 At Concepts NREC we have the experience and the expertise to be your total turbomachinery resource. For projects under 1 Megawatt (MW), we offer design plans and manufacturing details for the CN300, a commercially proven turbine generator unit engineered to minimize footprint and maintenance for ultra-low life-cycle costs. Please contact info@conceptsnrec.com for more information on licensing. For projects over 1 MW, we can create a custom solution designed specifically for your application. We also offer engineering, procurement and construction (EPC) services to complete the balance of plant for those seeking a turnkey system. Several radically different and highly efficient axial and radial impeller designs are now emerging that will effectively accommodate urban and onsite installations. To be viable, these small wind turbines will require much less wind for start-up (as low as 5 mph) and for optimum levels of efficiency. Wind-turbine turbomachinery is also being further refined to reduce the environmental impacts of noise and bird kills. New bird-safe blade shapes are especially needed for offshore regions within migratory flight paths. In another wind-power cycle, a wind turbine is used to drive a compressor. The stored compressed air is available to drive a turbine generator (or some other application) at times when needed. Newer and better solar technologies using concentrated solar heat (at 400°F and considerably higher) to drive a steam or gas turbine are promising to more effectively, efficiently, and practically utilize solar energy for electrical generation or to power some other thermal application such as an absorption chiller. The overlying turbomachinery challenge in all solar technologies and applications is to further advance turbine and pump efficiency in an effort to reduce their $/Watt installed cost. There is also enormous potential for new hydroelectric designs that can provide continuous and predictable power from various low-head, low-power water flows – without the need for dams – that may also vary dramatically by location or season. With an energy density 850 times greater than wind, even slow flowing waters can be an effective energy resource for a highly efficient hydrokinetic turbine. These same turbo-green technologies are also planned to operate effectively in the low flows of underground streams and falling water. The underwater streams of ocean estuaries are an especially reliable energy resource for driving a hydrokinetic turbine. One promising technology is a tidal-current turbine designed to harness energy from various marine currents. The unique Golay vertical-axis tidal-current turbine uses hydrofoil blades placed helically around an axis to operate bidirectionally as tides go in and out. An underwater tidal turbine farm would operate much like an offshore wind farm except for the added complexities involved in a relatively harsher underwater environment. Another solution uses an oscillating water column (OWC) to capture and convert ocean-wave energy into compressed air to drive an air-turbine generator. The core technology incorporates a patented high-efficiency, variable-pitch turbine in which an electromechanical blade-pitch control enables rotation in the same direction irrespective of the bidirectional airflow of the OWC system. To obtain meaningful improvements, these turbomachinery systems require more efficient pumps and turbines. One such gravity head energy system (GHES) uses a compact and highly efficient turbo-expander pump installed deep within the wellbore. This highly advanced turbo-green design significantly increases the overall cycle efficiency by at least 20% and up to 30%. Steam turbines have long been a natural green energy choice for onsite CHP plants with access to a nearby supply of low-cost biomass fuel. On a utility scale, many operators are now converting coal plants to operate on much cleaner biomass wood chips. Advanced capabilities in turbomachinery design will now allow even higher efficiencies, cleaner emissions, and reduced expenses. 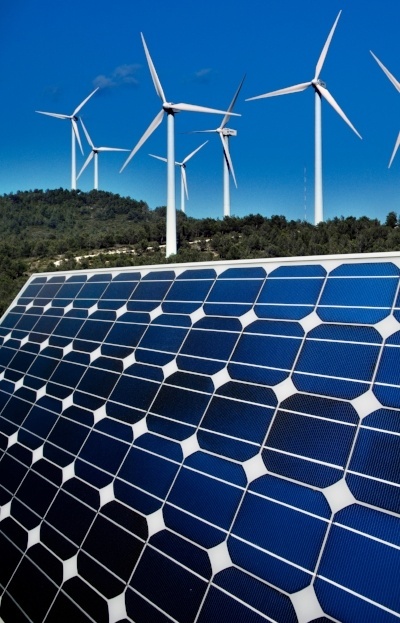 The rapidly advancing development and acceptance of green energy technologies for both distributed generation and to supply the smart grid demand that renewable energy be paired with energy storage. With the exception of battery systems, all other storage methods depend on the efficiency of various turbomachines for pumping fluids and compressing gases. Of recent interest is a new generation of flywheels using multiton carbon-fiber rotors spinning on magnetic bearings in a vacuum. Each flywheel is expected to store up to several megawatts of backup power for buffering power fluctuations from intermittent energy sources (wind and solar) or to stabilize power for changing loads. In one system, a motor powered by green energy accelerates a flywheel to terminal speed, and then the rotor maintains its inertial energy “indefinitely” until released by reversing the process and using the motor as a generator. Concepts NREC is also actively involved in designing compressed air energy storage (CAES), and liquefied compressed air energy storage (LAES), also sometimes referred to as cryogenic energy storage (CES). These two approaches to energy storage can be used for larger scale and longer duration energy storage applications. Concepts NREC has extensive experience in the design and fabrication of both compressors and turbines (expanders) for these types of energy storage systems. As an example, Concepts NREC designed and fabricated a 300 kW prototype energy recovery turbine for a client developing a LAES demonstration plant. How can we help you? Contact us today to learn more about our green energy solutions.